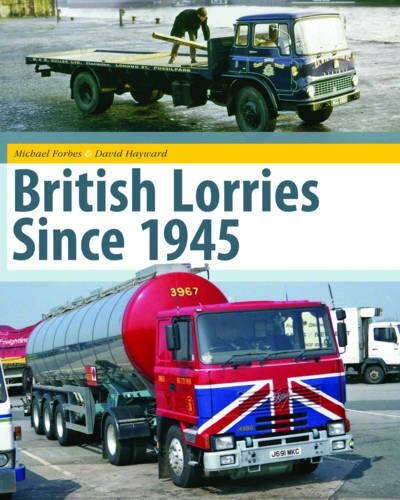 Written by two transport experts, this comprehensive title outlines beautifully the history of British lorries since 1945, and has been reprinted due to popular demand. The British commercial motor vehicle manufacturing history stretches back more than 100 years, reaching its peak in the post - war era of the late 1940s to the 1960s. This was a period when the classic British manufacturers such as Leyland, Foden, Atkinson, Bedford, Thornycroft and Seddon dominated our roads and although long since disappeared are still fondly remembered today. 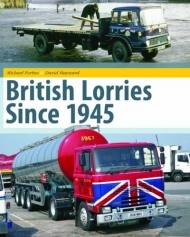 British Lorries Since 1945 will be a highly illustrated compendium of British truck manufacturers of that period. Organised on a manufacturer by manufacturer basis, the authors informed history of each manufacturer is illustrated by a representative selection of the vehicles produced by each manufacturer. Authors David Hayward aned Michael Forbes, leading British road vehicle experts, have drawn upon extensive archives of photographs, including the Chris Hodge collection, which show the fascinating variety of British commercial vehicles built post-war This exciting new title will form reference book for all transport enthusiasts as well as appealing to those looking for some nostalgia on these specific vehicles!